In celebration of Women’s History Month, both of us here at Graphic Novelty² have joined forces with some other amazing bloggers to celebrate women under the auspicious blogging series title of: Fiction’s Fearless Females! This is the sixth of our planned eight piece series, and Jeff of The Imperial Talker features Princess Leia of Star Wars! I do not think it was a coincidence he posted the feature on his site the day before the first trailer dropped for Episode IX: The Rise of Skywalker (OMG, the movie looks fantastic!). Read on to find out what this Star Wars expert has to say about the indomitable Leia Organa! I have always loved this line; it has always resonated with me because it points directly to the fearless resolve which resides in the heart of Princess Leia. Even before Vader utters these words, we know that Leia is a force to be reckoned with, a whirlwind of confidence capable of holding her own. After all, it is Leia who was leading the mission to Tatooine to find Jedi General Obi-Wan Kenobi at the film’s outset. When the ship fell under attack, Leia created a new plan to secure Kenobi’s help EVEN AS IMPERIAL SOLDIERS STORMED THE VESSEL! Dispatching the droid R2-D2 to Tatooine’s surface, Leia awaited her inevitable capture, and even shoots/kills an Imperial stormtrooper before she is apprehended. In just a few frames, Leia presents herself as competent and fearless, especially under pressure. Rather than quivering and backing down, she boldly stands her ground against imposing odds. It is no wonder then that later, when Darth Vader assaults Leia, probing her mind for the “location of the Rebel base”, her resistance is “considerable.” Princess Leia is the embodiment of fearless resolve, the very heart and soul of the small Rebellion against an Empire which spans a galaxy. There was never a chance the mind probe would work, it was always going to be an act of futility on the part of Vader. I was so incredibly anxious to have Luke and Leia reunite in The Last Jedi, knowing that with Carrie Fisher’s death, this would be the only movie for it to happen. While I had really adored The Force Awakens, only having a brief wordless sighting of Luke meant that this movie better deliver. The Skywalker twins have been my favorites since I was a child. I viewed them as heroes, plus I loved the public personas of Mark Hamill and Carrie Fisher. Neither became a mega-star like Harrison Ford, but to me they were so much more than that, they were REAL. Luke’s reluctance to leave his self-imposed exile on Ahch-To concerned me, and I didn’t understand his reasoning to stay put. I felt he was letting his family and the Rebels down, betraying the Jedi’s and taking the coward’s way out (but my feelings on that will come soon on a future post). I needed him to reunite with his sister and bring some order into the chaos of the struggling rebellion. So when he showed up in the cave on the planet Crait where the Rebels were making a last stand, I was heartened. While Luke and Leia’s conversation was much much too brief, the scene was the one that touched me the most, in a movie that overall angered me (again, a conversation for another post). Luke handed Han’s dice to Leia, which I thought was a sweet way to connect the original three heroes. Within minutes they parted and Luke went out to battle his nephew Kylo. When we find out that all of Luke’s interactions were just an astral projection, I felt cheated. I was beyond angry! It took me a second watching of the movie, and some time to cool off, to realize that Leia would have known that Luke was just a projection. So while even if their physical bodies didn’t meet, their minds and souls did. 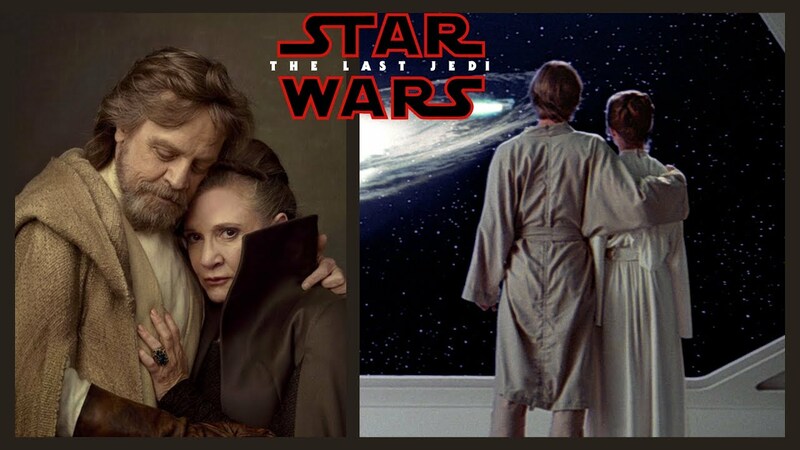 Perhaps the next movie would have given us a better and more complete resolution had Carrie Fisher not died, but we will have to live with this reunion. As such, my favorite scene was quite bittersweet. The Skywalker twins did not get the ending I felt they deserved, but I will try to believe that their reunion was filled with enough love and acceptence for the two siblings to feel complete.